Around 13,000 nursery seats which were reserved for children from economically weaker sections (EWS) in private schools in the 2018-19 academic session remain vacant in the national capital, reveals the latest report by Delhi Commission for Protection of Child Rights (DCPCR). In the wake of the aforementioned news that has brought major embarrassment to private schools in Delhi, HRD Minister Prakash Javadekar has asked the state to provide the data about vacant seats under the EWS category in entry-level classes in private schools. “I have asked the states to provide data about vacant EWS seats and then we will analyse what can be done to ensure the candidates under the category can make the best use of the available provisions”, said Prakash Javadekar, HRD Minister. 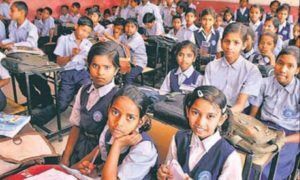 According to the DCPCR report, despite Govt’s persistent push for the cause [of EWS], 74 private schools did not admit even a single student under the EWS category in the last two academic sessions. Of the total 48,122 seats which are available, only 35,500 seats have been filled in Delhi private schools. In another related report, parents of this category have complained that the private schools in Delhi have not provided free books, stationery, and uniforms to their children. This comes in direct violation of the RTE Act (2009), as per which, the schools are supposed to provide such facilities to the deserving students.